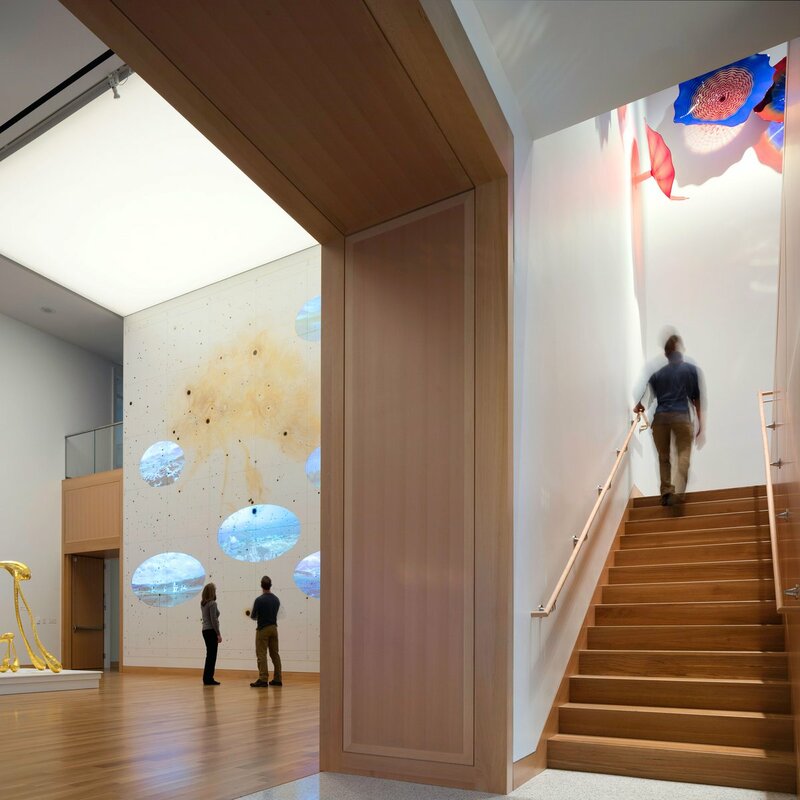 With breathtaking views from the new glass-enclosed entry through expanded galleries into historic Marvin Grove, the transformation of this teaching museum at the University of Kansas powerfully connects art and nature. Galleries are infused with natural light for the first time, and circulation is much more visitor-friendly. Designed by Yvonne Szeto with Bruce White, this small project — planned as the first phase of a potential major expansion — has now been recognized three times for design excellence.